WITI Announces 2007 National Conference in Silicon Valley. Click Here for Sponsorship and Exhibitor Packages! Dr. Laura Haas, IBM Distinguished Engineer and Director of Computer Science at IBM's Almaden Research Center in San Jose, was just elected as a Fellow by the Association for Computing Machinery (ACM) for her research leadership and contributions to federated database systems. In her career, Dr. Haas has been a key force in transforming the information management discipline from a focus on individual, largely relational database management systems, to one centered on providing a rich information infrastructure for all types of information. As an innovator and leader, she drove the technology foundations of three generations of research projects on integration of diverse information, producing not only innovative technologies and papers, but also shaping IBM products and research directions both in IBM and across the industry. Nancy King, principal of New View Marketing has joined Global Conference Partners as VP of Marketing. The company's flagship product is www.freeconference.com which provides simple, convenient and reliable conference call service at little or no cost. The company was acquired by American Capital Strategies Group in 2006. Ms. King is delighted to come on board and welcomes any inquiry to help members increase their productivity and efficiency through conferencing. When was the last time you said to yourself, "I feel so alive"? Or do you more often find yourself saying, "Why do I feel so numb? I feel like a robot. I feel like all of the "highs" have been edited out of my life." The slide from excitement and anticipation of each day to boredom and dread happens over time and is often so subtle that it is hard to notice. Get Your Companies Ad in the Next Issue of WITI Savvy! Space Close for the Next Issue of WITI SAVVY is February 2nd, so contact a WITI representative today for current sponsorship rates and availability. Call 800-334-9484 or email [email protected]. Have you had a book published? Have you written an article for a trade journal? We want to know about it. Have a subject you've always wanted to write about? Think that WITI SAVVY needs to cover a specific topic or subject? We are looking for ideas and writers for WITI's quarterly magazine. WITI Savvy magazine is interested in hearing about your good news - professional triumphs, updates on WITI events/programs in your area, news about starting new Networks, etc. Please send your announcements, article ideas, news, and updates to WITI SAVVY's editor, at [email protected]. WITI is seeking an experienced Account Executive/Sales Associate to join our Sales team. The Account Executive/Sales Associate will develop market demand for the company's products and services. Business Development to maximize sales revenues and meet corporate objectives. Establish effective and trustful relationships with executives to ensure proper sensitivity to their needs and WITI's products and services. Perform sales activities on assigned accounts and negotiate terms of deals through the head of sales. Typically requires 2 or more years of experience in dealing with top-level corporate customers. Excellent business development and consultative selling skills. Effective self-management skills with ability to plan and execute a major contribution to the company's field operations. Successful candidate will possess strong interpersonal and organizational skills. Excellent time management, communications, decision making, human relations and presentation skills. 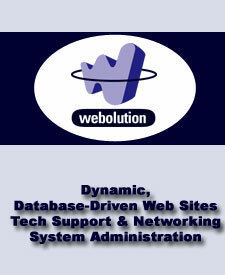 Webolution is a web site development firm. In business since 1995, we've developed Web sites for Intel, Sun, Paramount Pictures and WITI, among others. We specialize in Web/database integration and architecture using PHP and MySQL. Register Before Jan 31st and Save up to 35%! PR for software, hardware, Internet and services companies. Co-host of ShowStoppers™, the media-only special event and tradeshow. Technopolis is a registered trademark in the US and Canada, used under license. Accelerate Your Career! - Companies that get it are searching the resume database at WITI4Hire every day. Don't be overlooked! So, whether you are actively seeking a job or just open to great possibilities, add your resume today (FREE for members AND non-members, and confidential too!) to be noticed by companies like New York Times Digital, Best Buy, Altiris, Southern California Edison and GOJO Industries, Inc. Don't want to wait? Breakfast Briefing 2007: "Strategic Planning to Avoid Litigation"
Breakfast Briefing 2007: "From Bench to Business in Biosciences"
Breakfast Briefing 2007: "Trademarks and Copyrights"